Many organizations are looking at the benefits they can gain from big data but are put off by the infrastructure costs involved. Analytics company Kyvos Insights is aiming to make big data more accessible by making its scalable, self-service online analytical processing (OLAP) solution available to users of Microsoft Azure HDInsight. "Supporting a cloud platform like Azure HDInsight that you don’t have to manage and can get up and running in minutes with our solution is very appealing to our customers", says Ajay Anand, vice president of products at Kyvos Insights. "Now, through this relationship, Azure HDInsight users can analyze their data very quickly with Kyvos and the other BI tools they use. In addition, they benefit from not having to wait for IT data groups to provision hardware, making it easy to perform activities such as creating a cluster faster than ever before". Kyvos helps business users to visualize, explore and analyze big data interactively using 'cubes on Hadoop' technology. By providing greater levels of scalability and interaction directly on Hadoop -- with no need for programming -- Kyvos helps users gain insights that can lead to better business decisions, increased understanding of customers, more accurately targeted marketing and greater profitability. "Microsoft is focused on simplifying big data and advanced analytics to give organizations the fastest way to achieve business transformation," says Tiffany Wissner, senior director of data platform marketing at Microsoft. "By giving users the ability to do OLAP analysis with Kyvos on top of data in Hadoop with Azure HDInsight, our collective customers can achieve insights faster and easier to positively impact their business." 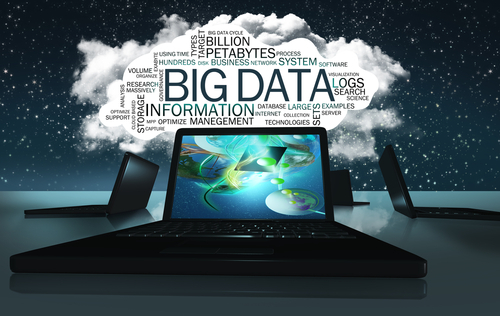 You can find out more about big data solutions from Kyvos Insights on the company's website.